Another city break done, another list of top things to do list! 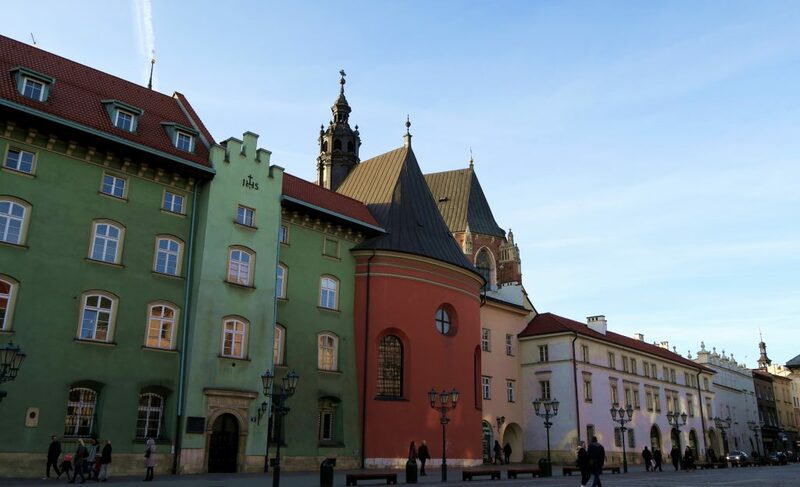 Kraków is a great city to visit for a few days, but do also read my recent post about whether it lives up to the hype – you can read that here. Old Town Kraków is gorgeous. From the Church of the Virgin Mary to the Cloth Hall, the architecture is amazing. However, my favourite thing about the city centre are all of the food stalls. The Polish will tell you that the food in the Old Town is overpriced, but compared to London prices, it’s dirt cheap! The soups, breads and crepes make for a great quick meal! If you’ve seen a photo of Kraków, it’s probably of the Old Town Centre, specifically of the Church of the Virgin Mary. This is an incredible building that dominates the Old Town Square (however it does cost a small amount to visit the inside/climb the tower and the tower is only open in certain months). Every hour, there is a bugle call, make sure you look up to the window on the left tower to see the man playing the bugle – he will give a little wave after his performance! Wawel Castle is a gorgeous castle (from the outside especially). The inside isn’t anything spectacular. There are a few exhibitions inside, I’m more of a fan of ornate castles that have kept their original interiors! However, the outside of the building and the gardens are really worth the visit! 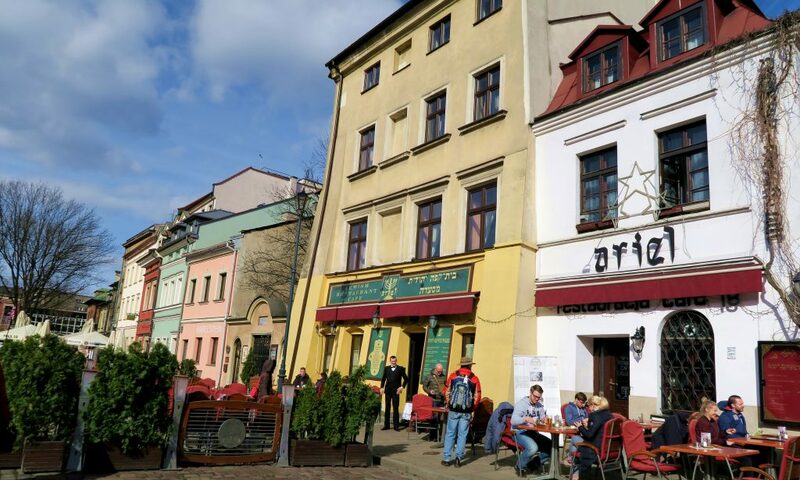 Once you’ve explored the main city centre of Kraków, make sure you head down to the Jewish district to explore some more! There’s plenty of history and culture to be seen here. A free walking tour is available of the area. Planty park is a thin park which runs the entire way round the city centre – it did used to be the city moat after all! We visited in March, so many of the trees and greenery were bare and you probably wouldn’t want to spend too much time standing in the cold – but the area has great reviews in the Summer months! Cloth Hall is the central long building in the Old Town city centre, it’s filled with more market stalls and there’s also an underground museum that you can visit! An interesting fact about Kraków is that most of the buildings have a floor or two underground due to the fact that the city kept becoming so downtrodden and dirty that instead of clearing up the area, they simply laid more and more concrete onto the floor multiple times. This is a very poignant installation in the “ghetto” of Kraków. 70 empty chairs are stood in the square commemorating the Jews that lost their lives during the war in Kraków. 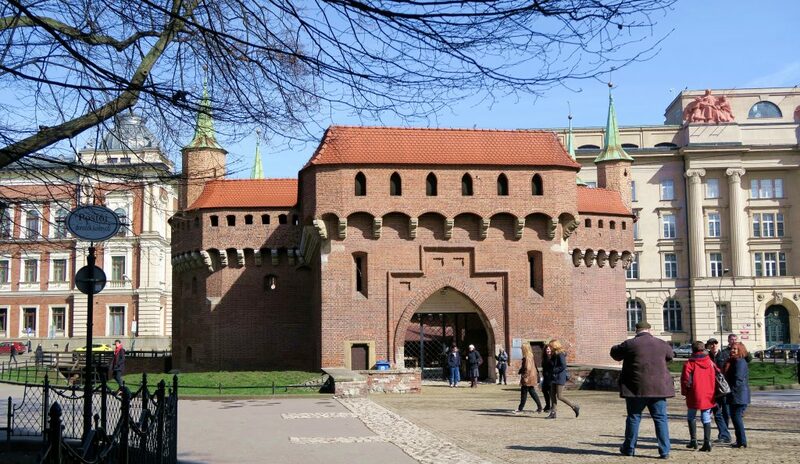 St Florian’s Gate and The Barbican are gothic towers dating back to the 14th century which adjoined the fortified city walls. Hard to imagine what the city was like completely surrounded by high walls! 9) Visit the many many Churches! 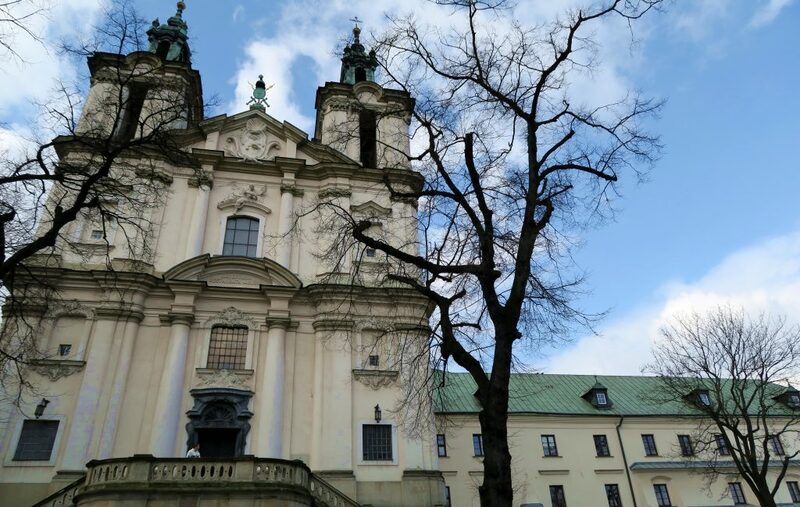 If I told you all of the churches to visit in Kraków, this would be a very long blog post. However, if you stumble around the city, you can’t miss them! There are hundreds. 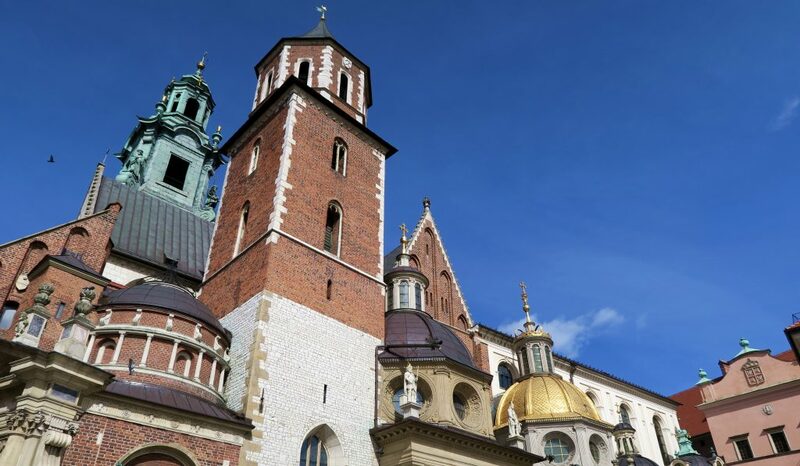 Take a look at the TripAdvisor top things to do in Kraków to see just how much the Polish love their churches/cathedrals! 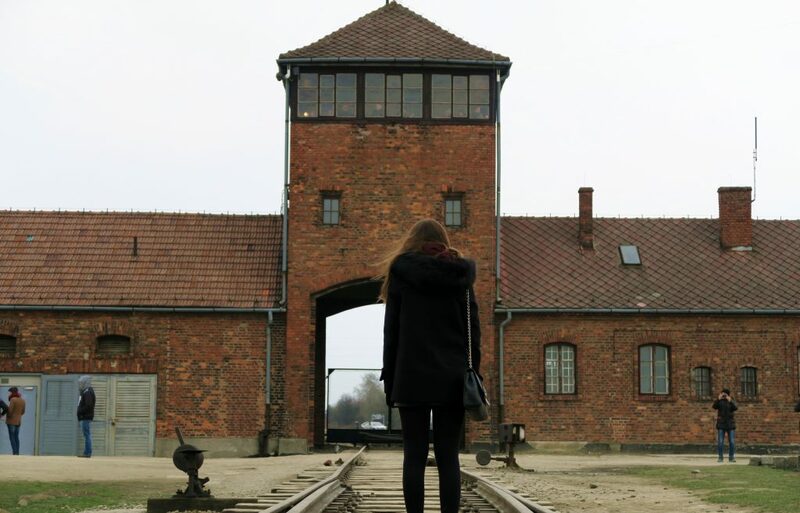 This was the real reason that we came to Kraków, we really wanted to see Auschwitz and finally tick it off of our bucket lists. This was an incredible experience and one I’m really grateful for. A full blog post will be up soon! 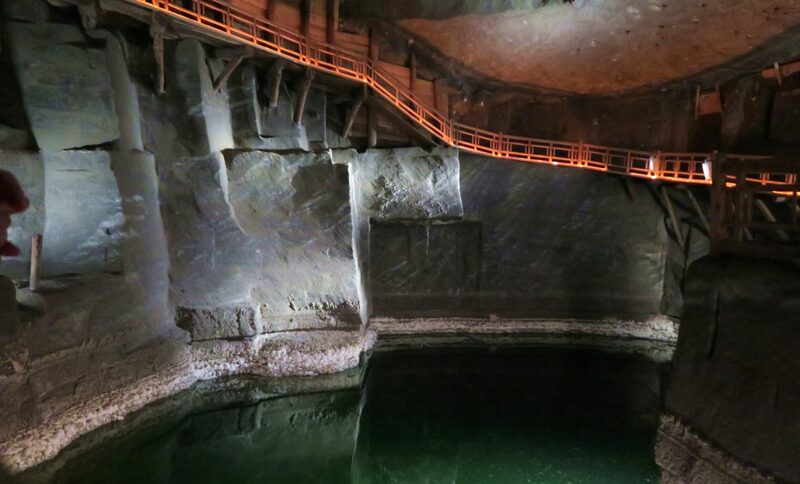 As part of the same day trip to Auschwitz with Discover Cracow, we also visited Wieliczka Salt Mines. The sheer size and scale of these mines are incredible. 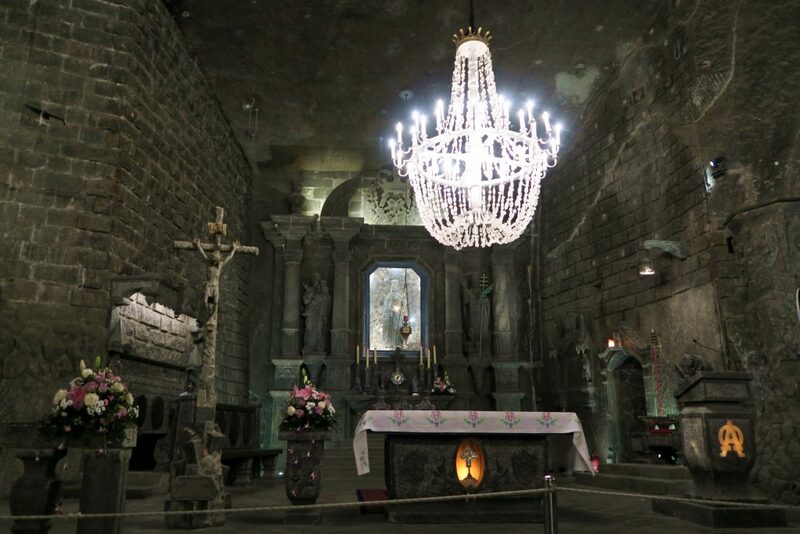 This is definitely worth a visit, especially for the Chapel of St Kinga – a huge room 101m below ground. The entire room is made from salt – the walls, ceiling, floor, statues, wall carvings and even the chandeliers! Also, you can give the walls a lick anywhere in the mines – it’s salty! 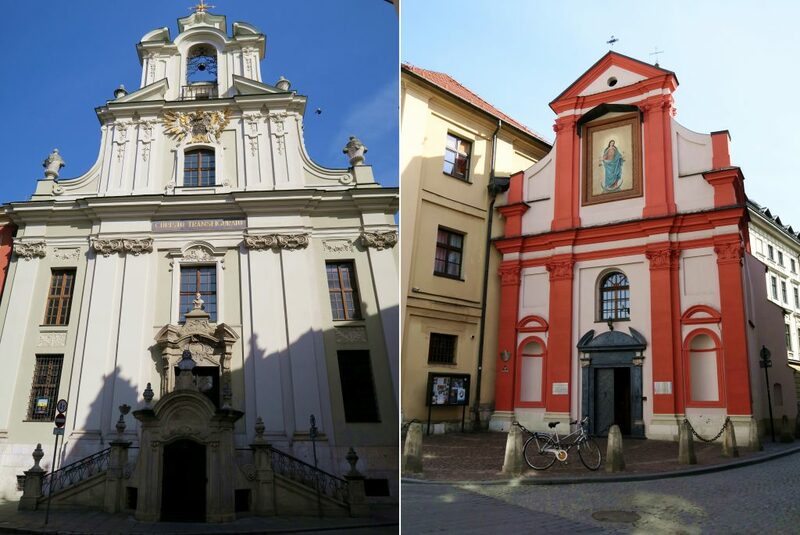 As mentioned above, Kraków has many churches to choose from. My favourite is the “Church on the Rock”. A beautiful white building with lovely grounds – perfect for a great instagram shoot! Unfortunately the doors were locked and we couldn’t get in at the time of visiting. Unfortunately I didn’t manage to visit the factory on my trip to Kraków but I would absolutely love to. I still need to see the film “Schindler’s List” the whole way through first! There are plenty of scenes which were shot on the streets of Kraków, so if you’re a fan of the film, you really need to visit! 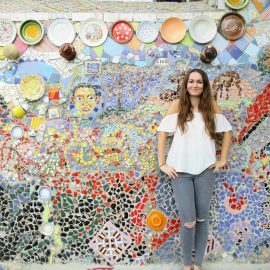 Now I absolutely love a free walking tour, they are a great way to get your bearings in a new city, learn a bit more about the culture and work out what you want to do throughout the rest of your trip. Kraków has the best range of free walking tours I have ever seen in a city! Generally most cities have one free walking tour and the rest are paid for, but not Kraków! See a full list of the tours here. 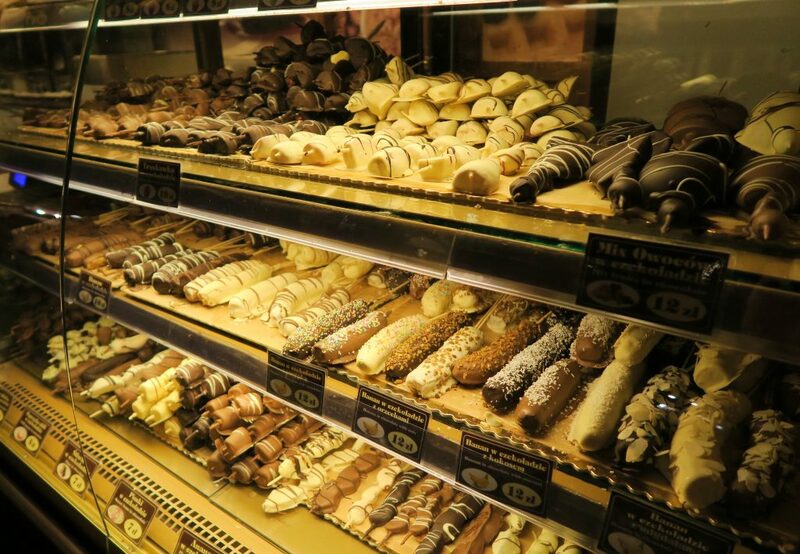 15) Take a Free Food Tour! In a similar light to the above, there is also a FREE walking tour!! Yes, free! You will have to pay for food as you go through the city, however each location only charges 1 – 2 PLN per portion and you don’t have to eat anything you don’t want to. Stand out items for me were gorgeous breads, out of this world dumplings and an array of Polish sweets. 16) Enjoy Cheap Food Throughout the City! Poland is known for having some of the cheapest foods in Europe. While all of the Polish people would recommend you to stay away from the Old Town as prices here are much higher than that of places slightly outside of the touristy areas, I found that even in the Old Town Centre, food prices were VERY good – especially when you’re used to London prices. Our favourite restaurant in the Old Town was La Grande Mamma (pictured above)! 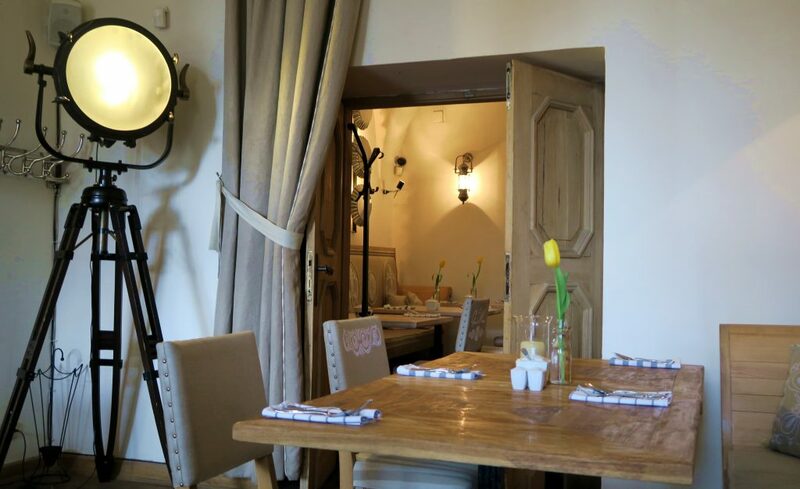 Yes, I know this is Italian, not Polish but the food was gorgeous (as were the restaurant interiors!). This is just so beautiful. A breathtaking scenery. I need to get out and travel outside of the country. It sounds so exciting! 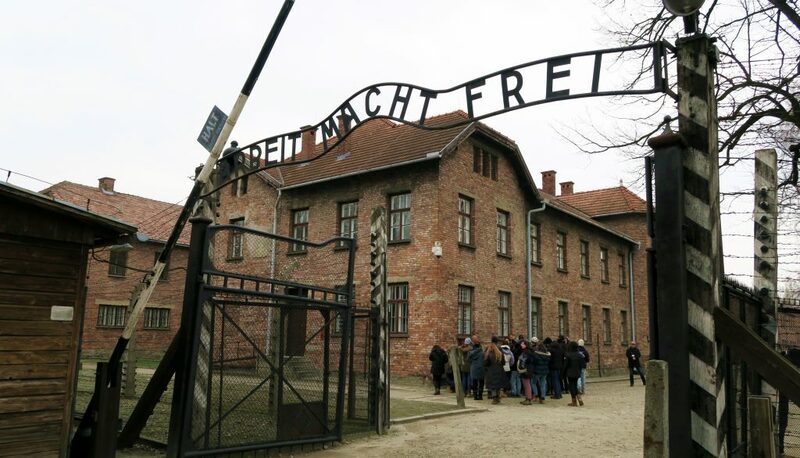 I would love to visit Poland as my husband has some Polish roots, thanks for sharing! 17. Eat with local people!